Life at Surrey 2: Here We Go Again! I am merely borrowing the title of Mamma Mia’s highly anticipated sequel Mammia Mia 2: Here We Go Again because… well, no reason really, just thought I’d start off the first blog of the new year with a bit of cheekiness. The post-exam freedom has helped me recover and I am fresh and ready for the new semester (for now)! Today is officially the first day of semester two and the university is brimming with eager students, but the atmosphere is different to the first semester. We have all gotten a taste of this academic year and we are more prepared to deal with the demands of our course. Freshers are no longer wandering around, looking at campus maps and asking all sorts of questions – especially seeking advice on how to deal with coursework and exams. They have adjusted to their new life and are back into the grind more optimistic than before, having gained knowledge of the course, the campus, and life at Surrey, with their coursemates and flatmates waiting for them to get back, and having had some time off to relax and recharge their batteries. Second and third years are also excited for a new semester with interesting courses and will be getting into it with much more determination and a better knowledge of how to adjust their performance to the level expected of them. Personally, I find that the January Blues are magnified by the stress of coursework and exams and so it is important to take care of ourselves during this time. Assessments cannot be avoided, no matter what course you do, but the additional stress can. What I usually suggest to all first-year students who may be nervous about exams is to reach out to a second or third year student of the same course or a member of their faculty (their lecturer or tutor or personal tutor) and address any issues that concern them. If you find that you are not dealing with stress as well as you would like, additional support is available on campus by the Centre of Wellbeing and the team of student mentors. The library also has a wealth of resources on how to manage time and develop strategies for effective revision on their website and so does the student support page on your personal SurreyLearn. It is important, therefore, to remember that you are not on your own – just let people know you are having a hard time and everyone will try to help. Students that do not get stressed at some point or other about their assessment, especially when they are new to university life, are a very rare specimen. So ask for help whenever you need it. What sometimes scares students about university assessments is the amount of revision that is required – as a law student, I had a lot of reading to get through! Students have different strategies, but what helps me is to start revision/coursework as early as possible. I aim to begin my coursework and notes before the Christmas celebrations, while I am still in work mode, as that helps me slip back into revision more easily after Christmas and takes a lot of the stress away. And, if you have regularly attended your lectures and done your reading for your tutorials, most of the questions that would normally arise have already been ironed out and the things you have read will start coming back to you, so remember that if you are stressed out and be confident in your work – you have gone most of the way by getting through the semester, you can do the last laps and win the race too! Equally important of course is to take time off and relax with family and friends, so do pencil that in your revision schedule and be realistic about how much time you are actually going to allocate to things. Make a schedule that fits your habits and try to be as effective as you can within that frame; if you are a night owl, embrace it and make a schedule that fits that. If you are not a morning person, there is no need to try to wake up at 6 am to revise every day and be annoyed at yourself for not being able to do so. But enough about the January Blues! Because the best part of January is what happens after the assessment period is over: reading week! And, despite the name, there is no reading that is done in that week, not really. After assessments are over, students have a break (one or two weeks) until semester two begins and many use that time to go on trips with their friends or go back home again… or just stay in bed and binge-watch Netflix (which is how I usually begin my break). 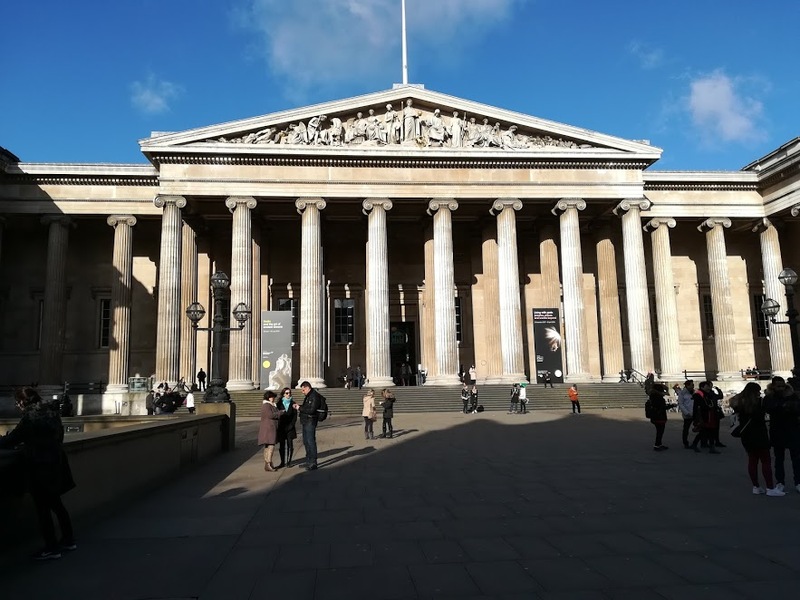 These days are mostly ideal for traveling though; a day-trip to London is a great de-stresser and there is always something new to see, no matter how many times you go. 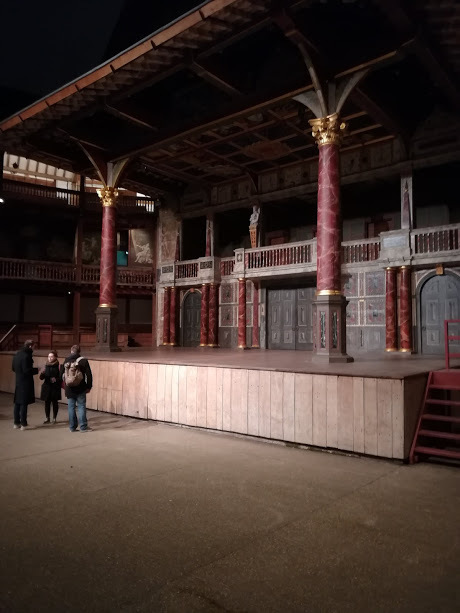 I personally spent some time in London, visiting the British Museum and the Globe Theatre. And of course you can use London (or Reading, which is an hour away by train) to get to anywhere you want in England (as they are very big train stations that can get you to most destinations – including Europe via the Eurostar train in London). Guildford is also very close to Heathrow (a bus-ride away from Woking train station) and Gatwick Airport (there are direct trains from Guildford to the airport). So many students go for short trips to Scotland, Ireland, Paris, Belgium… The Student Union also runs trips, which usually come cheaper than independent booking. In short, there is an unspoken rule that you should take advantage of reading week to travel a bit around England and Europe! Finally, the first weeks of the new semester are always fun! Refreshers Fayre happens at the end of the first week and it is another chance to sign up to new societies and events and get some free stuff and taster sessions. So try out, at least once, the crazy society activities you signed up for, meet new people and keep up the energy until the spring break. So, semester two, here we go again!